To elevate the distinct varietal flavor attributes into a balanced cup of smooth tastes and rich aromas, Caffè Fresco SCR roasts on a patented award-winning manual machine. An in-house developed gentle and generous roast style is used to coax out all the flavor nuances of each varietal. This style of roasting is a labor of love, demanding full attention of the senses, along with complete knowledge of each varietal. In addition, this style of roasting lengthens the coffee's prime flavor window. For the sake of quality, Caffe Fresco painstakingly cups all offerings, patiently monitors the roast profiles, skillfully designs all signature blends, and meticulously packages and ships each bag. 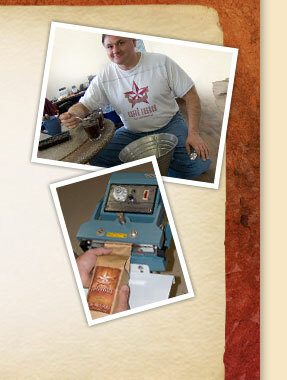 Caffè Fresco Specialty Roaster is completely owned and solely operated by Tony Sciandra.